Two components of WordPress are plugins and widgets. However, what do these mean? In this article we'll explore what these options are and how they effect the WordPress website. The typical use for WordPress is for writing blog posts or serving as use for a small site, being a holding point for a couple of pages of content. However, perhaps you need an added 'extra' to that? WordPress is an open-source program which means that many developers across the globe have access to the core lines of code and can see gaps where they feel that they can make improvements. They can do this by writing and realising a plugin which you can then add to your website. It's like buying a vacuum cleaner and then buying a separate hose attachment that suits your cleaning. It's separate from the main vacuum cleaner, but when it is added, there's an improvement to suit your needs. Would you like to add a contact form to your website? Make it load quicker? Add a forum or Google analytics? Would you even like to sell products? 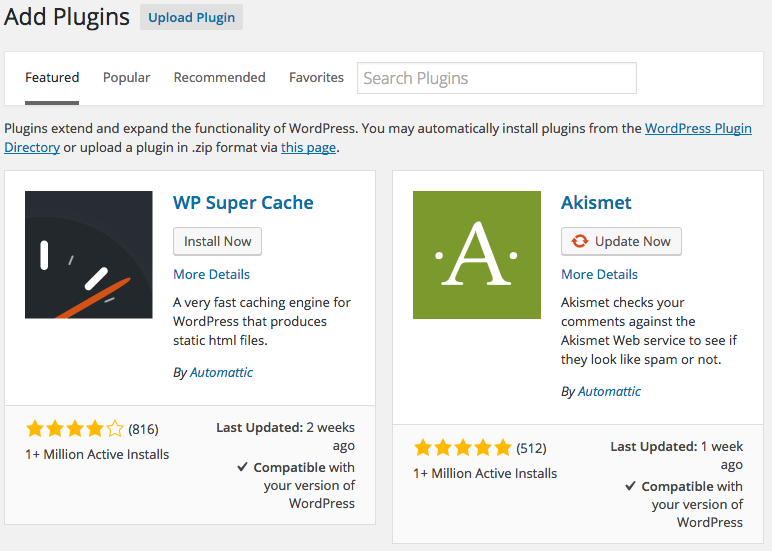 At the point of writing this article, 44,600 plugins have been written for WordPress. 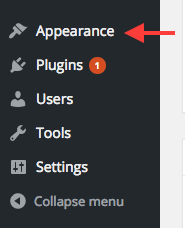 You can either browse the plugin directory online via the official WordPress site or you can browse them via your WordPress admin panel. To browse the available plugins, log into your WordPress admin panel. Use the left hand side menu to select 'Plugins'. Once the plugins section loads, select 'Add New'. You can now take a look at the 'Featured' plugins or even browse the 'Popular' plugins to get a feel on what everyone else commonly use. Alongside each plugin will be some information about whether you can install it. 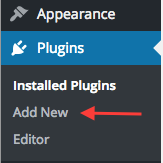 There's also a simple 'Install Now' option to immediately added it to your WordPress site. 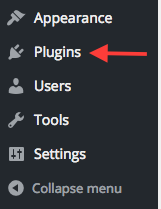 Plugins can be updated and removed through the same management section. 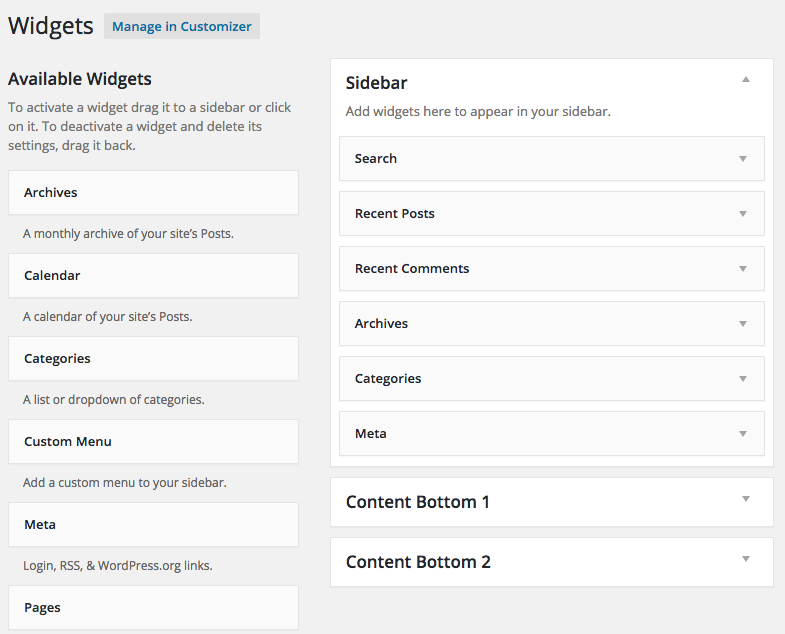 Widgets play a part in the overview look and feel of your WordPress website. They are fixed sections that usually appear on the right hand side of your site as such. They are useful at providing information to website visitors. They can be fully customised and new widgets can be added to suit your website needs. 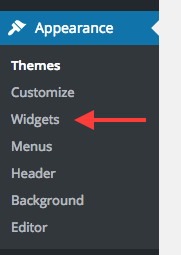 To customise the widgets, this is done in the WordPress admin panel. Down the left hand side menu, choose the 'Appearance' section. Once the section loads, choose 'Widgets'. The widgets management will show the widgets that you currently have in place and provide a selection of available widgets that you can add. To add or remove a widget, you can simply click and drag the widget. For example if you wanted to add the 'Calendar', mouse click and drag that across into the 'Sidebar' section. You can position it where you feel is right. The widget changes are automatically saved. The widgets aren't just limited to the sidebar section of the website, you can also add them to the footer section by using the 'Content Bottom 1' and 'Content Bottom 2' widget sections. This article should explain the basic principles about plugins and widgets which you can use to understand how to they work with WordPress. Having full control of your website is paramount and knowing more information about these two elements should have now been achieved.